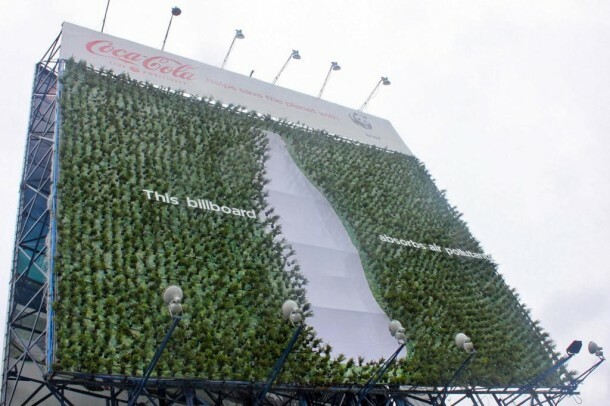 The 60 x 60 foot living billboard is made of thousands of Fukien tea plants, which is known to absorb air pollutants. 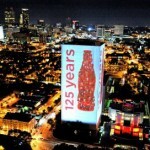 The plants are spread across the billboard surrounding the iconic curvy shape of a silver Coke bottle. This billboard helps alleviate air pollution within its proximate areas as it can absorb a total of 46,800 pounds of carbon dioxide from the atmosphere, on estimate. 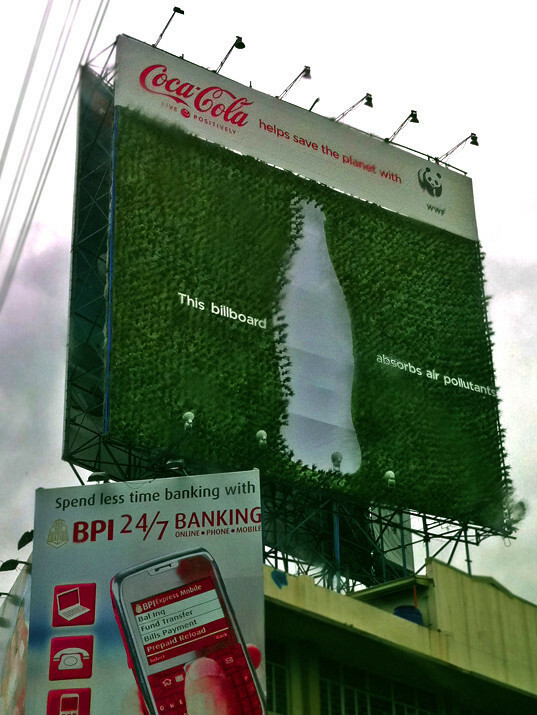 Moreover this billboard makes use of recyclable materials. 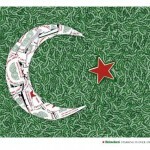 A total of 3,600 pots were used in the billboard, recycling old bottles of various Coca-Cola products. I do not even understand how I stopped up appropriate here, on the other hand I thought this put up was good. I do not recognize who you might be but absolutely you are going to a well-known blogger within the event you aren’t already. Cheers!